By the dawn of the twentieth century, Iran was sinking deeper into crisis. It was losing its economic and political independence to the Russian and British empires as a profligate absolute monarchy threw the country ever deeper into debt. A few intellectuals saw the rule of law as the solution to this, and eventually their ideas were taken up by a broad coalition of merchants, clerics, and artisans. In 1906, it forced the Shah to grant Iran a constitution and soon a parliament (Majlis) was elected both firsts in the Muslim world. 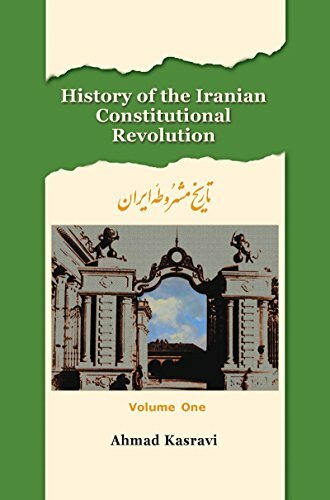 Ahmad Kasravi s History of the Iranian Constitutional Revolution chronicles this event and the ensuing struggles. Alternately elegiac and brutally honest, Kasravi s work is central to modern Iranian political consciousness in a way few other author s works are to their nation s. It is respected across the political spectrum. It will strike the reader how fresh the issues raised by the revolution and the ensuing struggles are today. For example, the history presents a spirited defense of secular nationalism but gives a refreshingly honest view of the Islamic polemic against it. Kasravi was born in an impoverished borough of Tabriz. Raised to be a clergyman, he became a zealous champion of constitutionalism, having witnessed his town s constitutionalists courageous fight for the Majlis and the rule of law. Moved by the terrible suffering his province of Azerbaijan underwent in the course of the revolution, he drafted a version of the present history around 1922. Ahmad Kasravi was born in 1890 in an impoverished borough of Tabriz. Raised to be a clergyman, he became a zealous champion of constitutionalism, having witnessed his town's constitutionalists courageous fight for the Majles and the rule of law. Moved by the terrible suffering his province of Azerbaijan underwent in the course of the revolution, he drafted a version of the present history around 1922. He was assassinated by a Shi`a Muslim fanatic in 1946.